Plextor has unveiled the Plextor M6 range of SSDs, spanning the full range of SSD form factors from PCIe to mSATA. The range uses Toshiba's latest 19nm toggle NAND flash and benefits from Plextor's "Adaptive Write" firmware, which allows for increased storage density while maintaining a high working life, something that's reflected in the range's 5 year warranty. The range is topped by the M6e PCIe drives which come in M.2 and HHHL configurations for use in the latest laptops and desktop PCs. 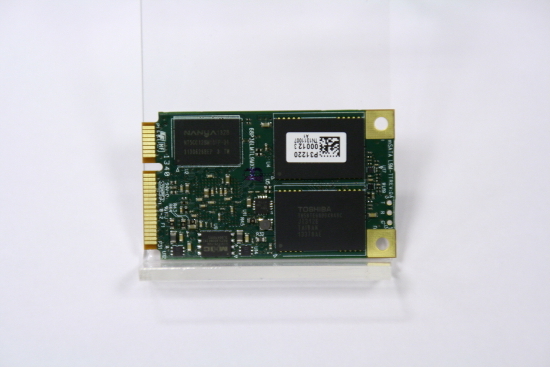 Powered by the Marvell 88SS9183 controller the M6e can deliver sequential read/write speeds of 770/625MB per second and random read/write speeds of 105,000 and 100,000IOPS. The drives function in AHCI mode and when used in conjunction with a system with UEFI, startup times can apparently be halved. The M6e will be available in capacities up to 512GB. Next up is the M6S, which uses a traditional 2.5in form factor. The slower interface means sequential/random read/write speeds are reduced to 520MB/440MB and 94,000/80,000 IOPS respectively. It will also top out at 512GB. Finally there's the M6M drive, which uses an mSATA form factor but otherwise delivers the same performance and features as the larger SATA drive. The full range is expected to arrive in the "spring of 2014".